5 bedroom, 5.5 bathroom villa in the The Abbey at West Haven community. Owned by Scott Kirkham and Kathryn Statton. Ref: 383. You Decide On Pool Color! Private gated community! Huge pool and spa overlooking conservation, just minutes from Disney, restaurants and other attractions ensures that all our guests experience the vacation of a lifetime staying in our beautiful Florida pool home! We are Scott Kirkham and Kathryn Statton and we live in Cornwall in the UK. We have 2 grown up children, Reece and Bethany. 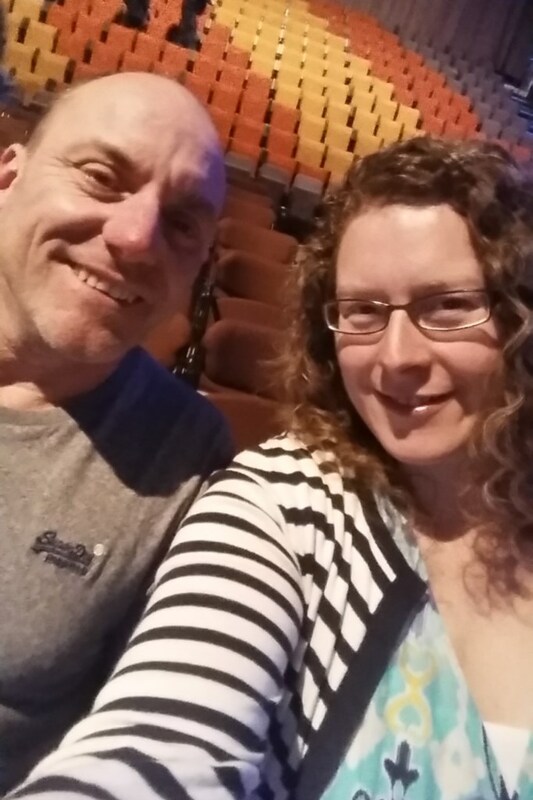 Scott is an engineering technical author and Kathryn is a teaching assistant at a local special needs school. We also own a busy leathergoods shop in a nearby seaside town. We have always wanted to own a home overseas and we were bowled over by the by the range of choice that Orlando has to offer: world-class attractions, shopping and dining combined with relaxed outdoor living, natural beauty and easy access to the ocean. So we embarked on our search for our perfect holiday home in the sunshine state. And we found it! ‘Bella Vista’ enjoys a quiet open aspect both south and east facing while backing onto conservation wetland which enables us to enjoy sweeping countryside views and ever-changing wildlife – and we can drive to the Disney Arch in less than 15 minutes! We are looking forward to spending time in our lovely villa and the surrounding area and the children are, naturally, looking forward to being here with their friends etc. We are always delighted to answer any questions you may have: we have high standards and know how important it is to get your holiday accommodation just right. Our Management Company is very established in the area with a wealth of experience and very high standards in terms of customer service and property maintenance, so we can relax in the knowledge that our guests are in expert hands while they enjoy their vacation. All this and so much more to delight and amaze you … plus we are less than 15 minutes to Walt Disney World ~ the best loved theme park in the world! Located on an exclusive gated community, Bella Vista boasts one of the best aspects on the entire estate, with breathtaking views of wetlands and wildlife conservation. We guarantee that you will never grow tired of watching the majesty and grandeur that nature has provided as the awe inspiring backdrop to your Florida vacation. Whilst nature plays its part, we as owners of Bella Vista have gone the extra mile too, in order to offer our guests a simply stunning vacation home with all the luxury and convenience you would expect from a grand, upmarket hotel. If your idea of heaven is laid back outdoor living, soaking up the glorious Florida sunshine and enjoying the delights of your own private pool and spa, then Bella Vista will tick all of these boxes and afford you the vacation experience of a lifetime. The villa already had the largest deck offered by the property developer and then it was extended further to create a superb outdoor environment for you to relish and enjoy throughout your stay. Our gloriously comfortable, deep padded loungers and chairs are ideal for those lazy days when topping up your tan is a priority, and for al fresco meals in the balmy Florida heat, we have provided a complimentary large and powerful gas grill. No need to rent one with us! The beautiful sun drenched, tiled pool (28ft by 14ft) is maintained to the highest standards by a specialist pool company and features a coloured rotating underwater light wheel, adjustable to suit your preference, in order to create a soothing ambiance or party atmosphere as the sun sets on yet another fun filled Florida day. Adjacent to the pool is our magnificent 7ft spa bath ~ the ideal way to sooth those tired feet and aching muscles after a busy day in search of that elusive “Mouse” ! For those that prefer a little shade or just a momentary respite from the wonderful tropical sunshine, our lanai (or outdoor lounge area) with typical Floridian ceiling fan will provide a cooling haven of calm and tranquillity, whilst still allowing you to watch and join in the fun with the rest of the family in and around the glistening pool. In addition, our fantastic bathroom and poolside shower provides a great changing area and affords you all the facilities you could ever need right there on the deck. And, as if all that wasn’t enough, we proudly boast one of the most spectacular and stunning natural wildlife and conservation habitat views in the whole of the Disney area. A truly awe inspiring backdrop of ever changing seasons and tropical animal discovery. Vacations are all about having fun and maybe doing things that ordinarily you don’t get the chance to do in everyday life. So imagine the excitement of discovering your very own bespoke games room right there in your vacation home. Then add to that excitement by making the centrepiece of that room a full size genuine Olhausen professional pool table ~ one of the very best tables available anywhere in the world. Still not enough ? Ok, how about the brand new high quality 7 ft air hockey? We also have a great Foosball table and electronic darts! Now let’s throw in a table, some chairs and a luxury carpet to make this a great place to hang out and chill whenever the urge for a little friendly rivalry rears its head! Kids of all ages love this room, and parents love the fact that they can enjoy some well earned peace and quiet. knowing that their youngsters whilst being entertained, are all completely safe and sound. Our 1st lounge room downstairs is a particular favourite with our guests, who always comment on the light airy feel and the grand scale of everything. It really does have that “Wow” factor and that old adage about everything in America being “bigger” is certainly the case here! Whether it’s the magnificent open plan staircase which sweeps away to the side of you, the sumptuous overstuffed furniture or the simply massive 50 in high definition flat screen TV and DVD player, everything is on a suitably upscale and luxurious level that is bound to impress. We believe that all our guests will appreciate the tasteful décor and quality furnishing and fittings provided to ensure your relaxation and comfort. Secluded from the rest of the house this master suite affords the best in both privacy and stunning conservation views directly from the bedroom window. Featuring a sumptuous king-size bed, a remote controlled 27 inch cable TV and access to you own private bathroom, this room, complete with its own entrance to the pool deck, is a great place to relax and enjoy a little quiet time away from the rest of your party. 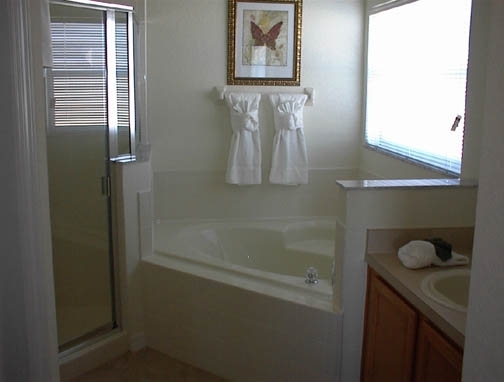 The master bathroom features a stunning walk-in shower cubicle, (which meets all current disabled codes), a separate tub and two wash basins with vanity. In addition a separate WC and extensive closet which features a complimentary safe is located in the private corridor which leads from the bedroom to the bathroom. Like the rest of the interior of Bella Vista, our dining room is tastefully furnished and accommodates a huge 8 seater dining table and chairs. Located adjacent to the kitchen it has the added advantage of enjoying our spectacular countryside views. A casual breakfast bar separates the dining room from the kitchen, and there are two bar stools for those who prefer informal dining or just a coffee and maybe a fresh baked muffin “on the run”. The breakfast bar is a great way of resolving that issue of maybe feeling a little isolated in the kitchen if you are the designated cook, since it is both easy and comfortable for your family and friends to join you on the bar stools, at a safe distance, whilst you are creating culinary magic! As you would expect in a home of such premier quality, all those top of the range appliances are just waiting to make your food prep and gourmet skills a complete breeze. •	A utility room complete with a heavy-duty washing machine, tumble drier, iron & ironing board. At Bella Vista we take your safety and security extremely seriously. It is easy to let your guard slip when on vacation, but because we know you want to relax, we’ve taken care of the major security aspects for you and your family. To that end, the house has an emergency lighting system in the event of power failure, fire extinguishers on both floors and all doors leading to the pool and deck are alarmed in order to give parents peace of mind by stopping youngsters and toddlers from entering the pool area unnoticed. Without a shadow of a doubt, you will simply adore this wonderful upper lounge area. Built to a truly visionary design, we invite you to chill out and relax as you sink into the super plush furnishings and look out from on high, over the stunning conservation and natural wetlands beyond. But wait… it gets so much better! Our incredible observation balcony means that you can enjoy the soft gentle breeze, take advantage of the weatherproof furniture and simply marvel at the views, which range from the majesty of nature’s own conservation, to spectacular sunrises right through to nightly jaw dropping Disney fireworks! However, when you eventually pull yourself away and do go back inside, you will discover the added bonus of a high speed 24/7 internet-ready PC, which will allow you to surf the web and send emails to your friends and family around the world, completely free of charge. Plus, with our high speed wi-fi router, you can bring your own laptop and enjoy the freedom to surf wherever you like around the house! Our PlayStation3 is also situated at this entertainment station. The second of our spectacular private master bedroom suites is accessed by its own gallery walkway and occupies the whole of the south side of the house upstairs. Make no mistake, we are talking about a huge space here! It is furnished to our normal exacting standards complete with king size bed and remote controlled private TV. Here you will also discover the largest walk-in closet in the house and a private bathroom with WC, basin and walk-in shower. This spectacular suite is guaranteed to wrap you in a haven of luxury and indulgence. Situated away from all other bedrooms, this twin-bedded room is thoughtfully presented with nightstands, chest of drawers, mirror, lamps, a large closet and of course, a remote controlled TV. The adjacent bathroom provides a shower/bath combo, twin basins and WC. Located upstairs at the front of the house, this twin-bedded room is always the first choice for the young and young-at-heart. Furnished and decorated in a Disney Winnie-the-Pooh theme, what better room to come home to after a day at one of the Disney parks interacting with the real characters? You can even watch the Disney channel on your own private TV. Features PlayStation 2. Kids will love it ! 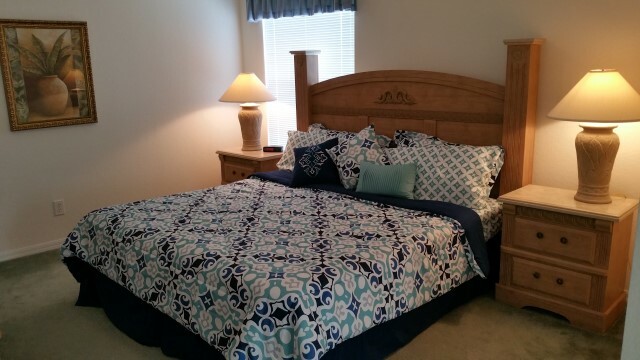 This large, well-appointed room with King size bed benefits from private access to the front bathroom. The stylish en suite bathroom includes shower/bath combo, WC and twin wash basins. HD cable TV. •	Exclusive clubhouse a short walk away. Includes huge 20m communal pool, tennis courts, beach volleyball, boules pit, table tennis and well-equipped gym. Our local management company is always on hand during your stay to offer advice and assistance. "You picked well with West Haven – we have been going to Florida for probably 20 years (30 if I include my time as a teenager with my parents) and have stayed all over in Orlando, but West Haven is in our opinion the best location. Cheers Peter"
"One week has past by since our visit at the Abbey, and we are quite nostalgic because it was GREAT!!! It will be my pleasure to share my experience with them. Hope to rent from you again...sometime soon. Best regards Russell"
"We had a great time in Orlando, Florida! Thank you very much for offering your vacation home to us. The kids especially enjoyed it because they could hang out all together. At times, they wanted to stay in the villa rather than go out. Mike W"
"We are incredibly pleased with your beautiful home, and it has by far exceeded our expectations. Finn M"
"Just wanted to let you know how much we enjoyed your villa. Beautiful and well kept and probably the best one we ever rented. Pat M"
"We had a GREAT time the house was absolutely wonderful. The people who run the house for you, are great, you’re lucky to have them. We look to forward to booking with you again next year. Samantha P"
"Thank you for everything, yes it was awesome stay! BTW thanks for the iHome and air hockey – useful upgrades :-) Next year, if our business conference will be located in Orlando again, for sure we’ll come back to “our” home again :-) Take care, Ondra"
Please note that Bella Vista operates a strict no smoking and no pets policy inside the building, to ensure the health and safety of all guests, and in order to maintain the immaculate presentation of our vacation home. Pool heating £100/$150 per week, if required. Provisional bookings can be held for SEVEN days. Bookings can be firmed on payment of £100/$150 per week or part-week booked. Balance TEN weeks prior to occupancy. Send for Booking Form and Terms & Conditions for full details. We were a party of seven adults for half our stay and then just two of us for the remainder. The villa was lovely with lights on to welcome us. 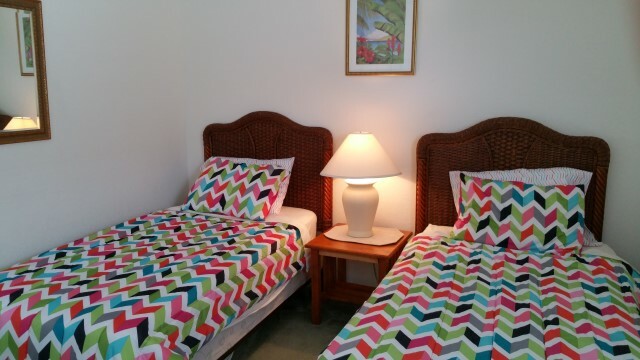 It has three en-suite bathrooms and a family bathroom so great facilities. The living space was good and the site itself superb - overlooking water and well maintained grassed areas and not overlooked at all. Pool and covered outside space were a great bonus in the hot Florida weather.The villa location is wonderful with many restaurants just five minutes away at the very smart Champions Gate complex. Publix supermarket is also located there. Disney is twenty minutes away with no traffic issues on I4, even when it is busy it’s only a couple of exits to Disney so you miss all the Orlando traffic. Thanks Scott and Kath - we hope to be back soon! Owner's response: Thanks Annie and Derek for your lovely review, we appreciate it. So pleased you all really enjoyed the villa and had a great time in Florida. We would love to welcome you back soon! We are a family party of six who have just returned from a relaxing break at the Bella Vista Villa on the high quality and gated Abbey area within the established and sought after West Haven development. Over some twenty years we have stayed in many villas but this is the best in several ways. It is a spacious, light and airy five bedroom villa that is well appointed with excellent views over the natural wetlands. It is well screened and not overlooked. The pool deck is large and has generous under cover lanai areas. The unobstructed view from the pool deck and upper balcony at sunrise is truly glorious. The proximity to the main roads for access to the theme parks is excellent. Nearby Champions Gate is also great for shopping and eating out. The owners Kath and Scott are helpful and knowledgeable and they are well supported by their local property managers. We were very pleased that we chose to stay at Bella Vista. Owner's response: Thank you for taking the time to write such a lovely review, we really appreciate it. Thank you for being great guests and taking such good care of our villa. We look forward to having you and your family staying again on your next visit to Orlando where you will be able to take advantage of the returning guest discount too! Just returned from a wonderful holiday at Bella Vista at West Haven.. The house met our needs to perfection. We were a fairly large family gathering of 2 adults + our two offspring and their respective families (including teenage and toddlers/young children grandchildren. The games room provided good entertainment for all and the swimming pool/hot tub were put to good use! 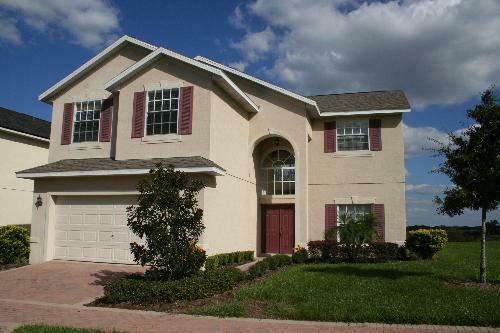 Orlando Airport/Disney Resorts/premium shopping outlets all within 20 minutes drive - perfect location! This was a family holiday, 6 adults and 4 under 5s. The accommodation was ideal for our group and the location is perfect. The pool was a welcome feature, just a pity that the attractions of Orlando cut down the time we spent in the pool. The outlook from the villa was very different from the usual row of villas, the view was of a nature reserve and very limited impact from neighbouring villas. We even had our resident cranes which came to visit regularly In addition to the red cardinals that were ever present. Any future visit to Orlando will definitely be staying at Bella Vista. What a great holiday we just had made perfect by our 3 week stay in Bella Vista. One of our main criteria was to have plenty of bathrooms/showers, great after we have been in pool/spa or those early morning starts on park days and all want showers etc at the same time, no problem, plenty to go round. We had the pool heated, a must for those chilly February evenings, a nice touch too with the underwater lights that change colour. There is even a toilet in the pool area. A well equipped games room including pool, air hockey and foosball ,great fun. There is a balcony upstairs which overlooks the pool and open field to the rear of the villa, so your not overlooked. This was great to watch the hot air balloons getting airborne from the nearby base at sunrise. None of our party were brave enough to have a ride. The villa is in a quiet gated community which gives you that safe feeling. The bedrooms were spacious with large comfortable beds, which made for a good nights sleep. The lights had been put on for us as we arrived in the dark, a nice welcome touch. There was note when to put the bins out, even that was done for us each week. We would like to thank Claire and David for sharing their fantastic villa with us, everything we wanted and more. Looking forward to the next time now. Thank you. We stayed at Bella Vista as an extended family, made up of our four daughters, their two husbands and our first grandchild. Having visited Orlando several times before we had a very good idea of what we wanted to do with our valuable time and Bella Vista was exceptionally well located to allow us to quickly and easily reach the huge number of different places we wanted to visit. It was very reassuring to be inside a gated community, which was easy to enter and leave and well connected to the major roads. We loved everything about the villa itself, especially the light and bright dining area which we used for our family breakfasts and the wonderfully refreshing pool ... even if we were out of the house so much we only got to use it in the mornings and late evenings. The rooms are all spacious and comfortable and we appreciated having a green expanse out of the back of the house to further build the holiday atmosphere. A good choice! Had a lovely stay in this villa with 8 others. The villas was clean and tidy on arrival and the pool was a joy for the kids. The villa had everything you could ask for. We were locked out one night and the owners and Terry the maintenance guy could not have been more helpful. My brother in law is staying here in 2017 and we hope to stay here in 2018 when we come back to Florida. Had a great time at this property. 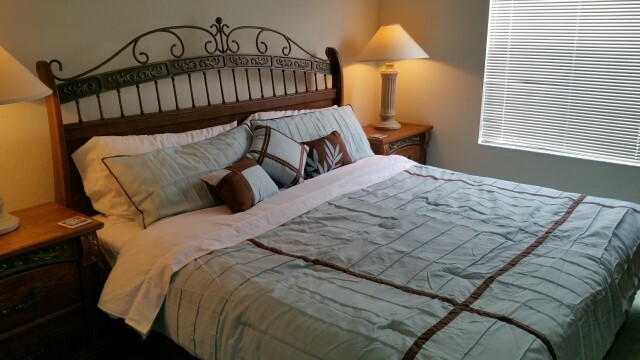 Very spacious and centrally located in Champion's Gate for all the Disney parks. WONDERFUL TIME! THE HOUSE WAS EASY TO FIND, AND EASY ACCESS TO THE GATE AND INTO THE HOUSE. WAS THERE WITH KIDS AND GRANDKIDS. THE HOUSE WAS CLEAN, BEAUTIFUL, AND FURNISHED ELEGANT. I WOULD STAY THERE AGAIN WHEN I GO TO FLORIDA AGAIN, ACTUALLY PLANNING A TRIP THERE AGAIN NOW, JUST INTO PLANNING DATES AND THEN TO CONTACT MR. SHERMAN AGAIN TO SEE IF THE HOUSE WILL BE AVAILABLE. LOVE THE PLACE. USUALLY STAY AT DISNEY BUT REALLY LIKED THE HOUSE. ENJOYED OUR TIME THERE GREATLY. THANKS. We have stayed in a number of villas in the Orlando area and I can say that this was one of the best in terms of facilities and location. Great pool area and enough space for everyone in our party (5 adults and 2 pre school children) to get away from it all when quite time was required. We did not make full use of the pool table / air hockey in the games room but these facilities would be a great bonus for families with older children. Overall highly recommended as a base for visiting the parks and as a quiet get away for days away from the parks. An amazing family holiday staying in this huge villa. The entire family were delighted with the accommodation and the location was ideal for all our adventures, not just to Disney and Universal but also for travelling around, shopping and sightseeing. The children loved the pool and the adults loved the Jacuzzi! This very well maintained villa was the perfect place to unwind after a busy day and was also great for taking a day out and chilling in the Florida sunshine. We were all very sad to leave and will definitely be back in the future. I would thoroughly recommend David and Claire's villa to any potential holiday-maker. Your enquiry will be sent to villa ref 383 only. This page has been viewed 112269 times since 07 Sep 2002.